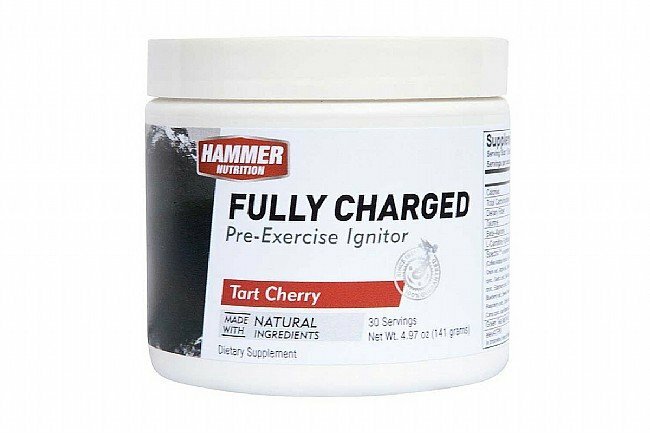 Hammer Nutrition's Fully Charged is a pre-exercise, tart cherry drink mix that ignites mind and body with the help of a potent blend of all-natural ingredients such as fruit and vegetable extracts, amino acids, and green tea extract. 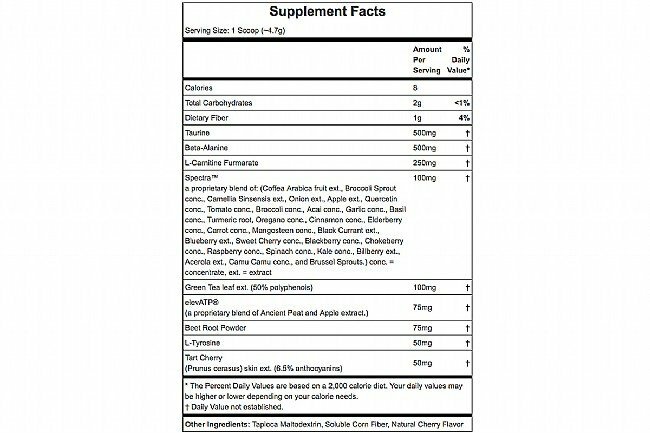 This invigorating formula reduces warm-up time, increases cardiovascular capacity, prevents lactic acid build up, improves mental acuity, and increases energy levels, all without the jitters or over-amped sensations. I bought two because they were on sale and I like most Hammer products. They need to go back to the drawing board on this one. Taste is unpleasant. Doesnt dissolve well into any fluid Ive tried, just stays clumpy. Uncertain benefit. It may be working but its hard to tell. 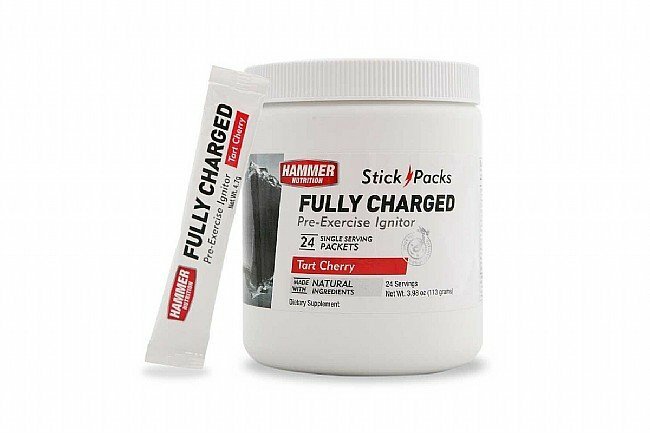 Fully Charged is a great, pre-exercise formula that is better than others existing pre-exercise formulas because it isn't about getting you amped up on copious amounts of caffeine and stimulants, which is what other pre-exercise products do. There's no way around it, this doesn't taste very good. I basically treated it like a 6 oz shot. I just finished RAGNAR as an ultra team with a shot of Fully Charged & a Hammer oatmeal apple bar before each leg and felt strong despite 31 miles of running on 6 hrs of sleep.